Seek advice. Share your story. 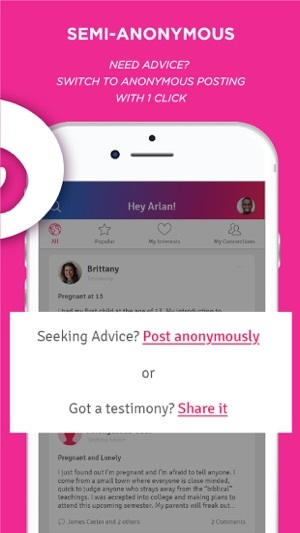 A New Social Network Experience - The first semi-anonymous app to provide a positive, a la carte approach to social connections. 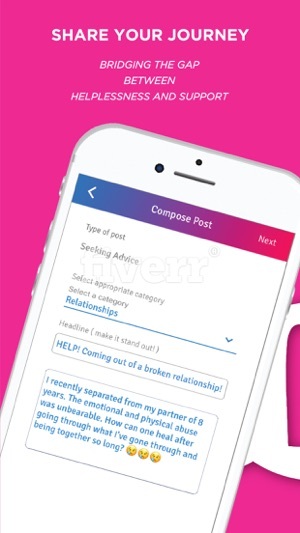 •	Seek advice anonymously and find support from a community of identifiable allies. Comments are attached to public profiles to encourage positive dialogue. •	Share your milestones and testimonies along the way so you feel liberated and inspire others in the process. 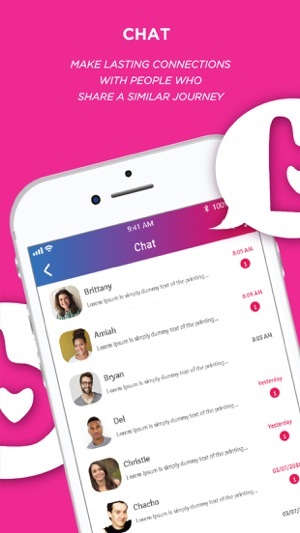 •	Chat it up! Make lasting connections with people who share a similar journey or just people who genuinely care! •	Finally, a timeline that prioritizes your viewing pleasures over an algorithm. Yesss! •	No fake "friends" here, we call them Connects! But first, users must engage with each other’s content prior to requesting to connect. •	Designed to help you reduce social anxiety while helping you to redirect your life purpose and make a difference in your social network. 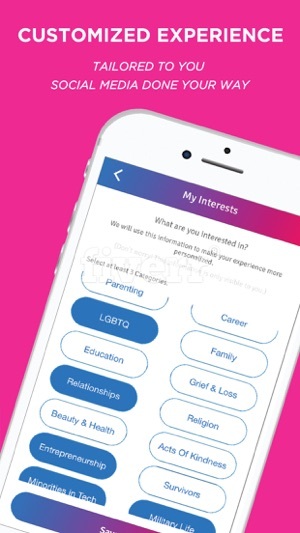 Join the Blessapp community today and start making meaningful connections and lasting impacts! 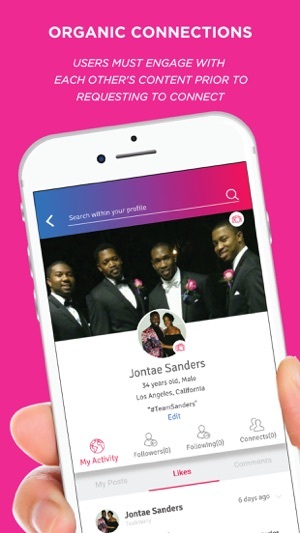 Say hello and tell us what you love or give feedback about the Blessapp community contact@blessapp.com. I was super excited about the launch of this app and extremely eager to download it. Since downloading I’ve been impressed with not only the functionality but also the meaning behind that app and all the daily inspiration i read! I would definitely recommend!